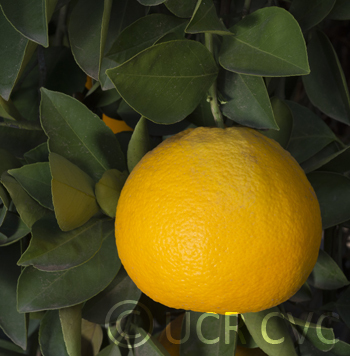 Photos by David Karp and Toni Siebert, CVC.10/30/2013. Photo rights. Source: Received as budwood from Japan via Glenn Dale (requested by W.P. Bitters), 1983. 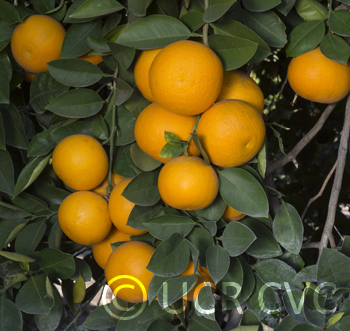 1/20/1989, EMN: About the size and shape of a Marsh grapefruit, but much darker orange-yellow rind color at maturity. Rind slightly rough, medium in thickness. Pulp yellow, tender & juicy, but too sour to eat at this time. Seeds numerous. 4/18/1989, EMN: Several on ground but most are still tightly attached to tree. Flavor OK- still too tart for my taste but might be palatable to a grapefruit lover. Moderately seedy. 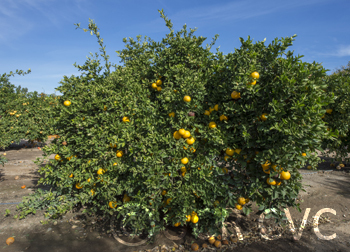 "Of limited commercial importance in Japan are several other pummelo-like fruits either known or thought to have originated as chance seedlings. 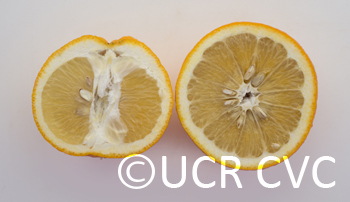 Not commercially important but of interest in the category of pummelo-like fruits are the Asahikan (C. asahikan Tan.) of Japan and the Attani (C. rugulosa Tan.) of India. " Availability: No longer commercially available in California. This accession no longer has an approved budsource. Please refer to the CCPP for information on another approved budsource or to start a reintroduction inquiry.